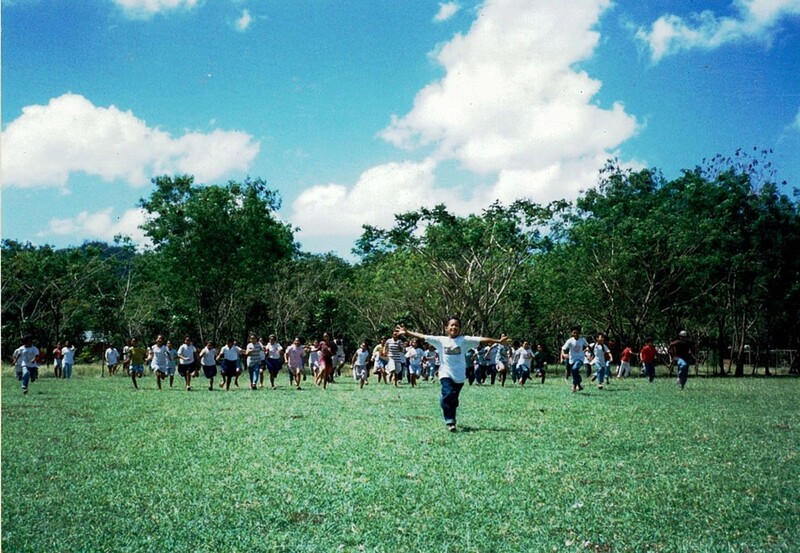 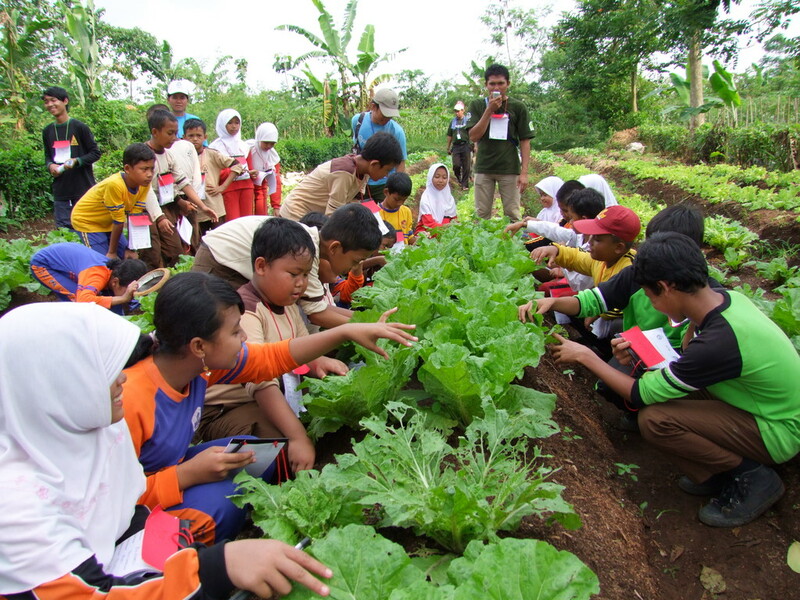 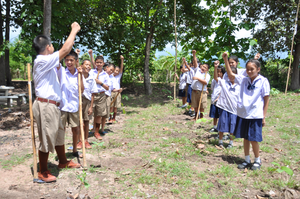 Banpogroo School’s 4.14 hectares of land area includes school buildings, a football field, a pond, and a farm. 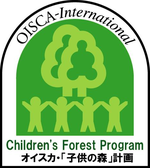 Now there is a forest within the area because OISCA CFP and Banpogroo teachers and students planting activity many years ago. 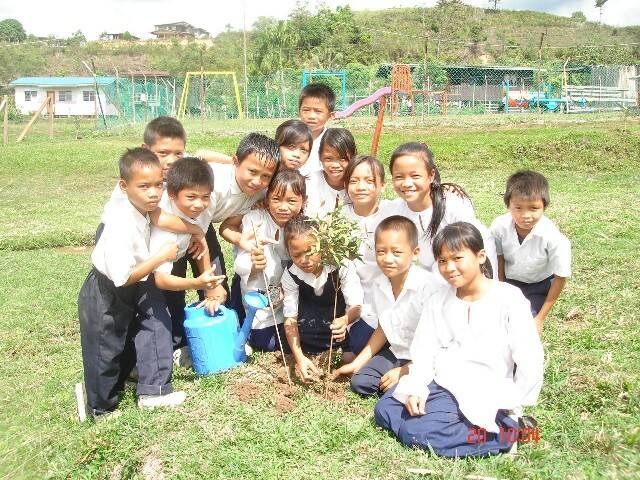 The children’s nurturing and loving attention caused the planted saplings grew big and strong and developed into a beautiful forest. 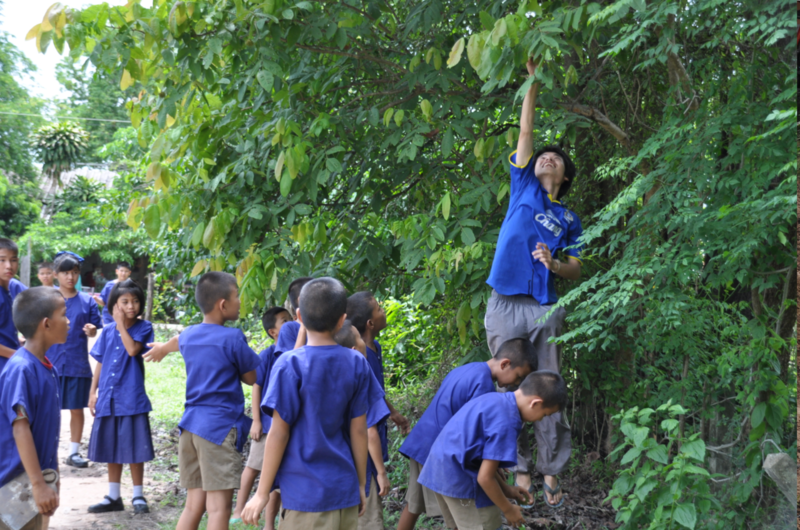 Because of activities such as these, students and teachers have become more interested in their surrounding environments. The teachers became interested in planting tree species that could be utilized as medicines and food in addition to indigenous species. 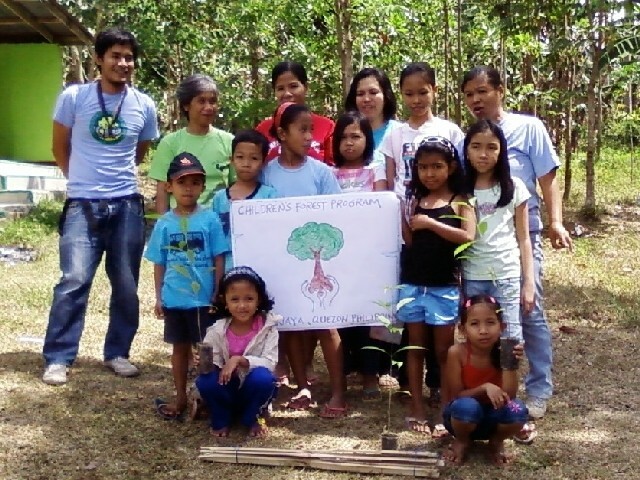 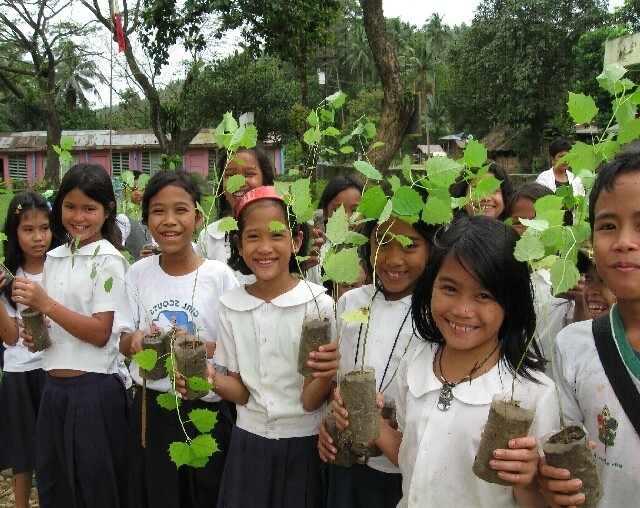 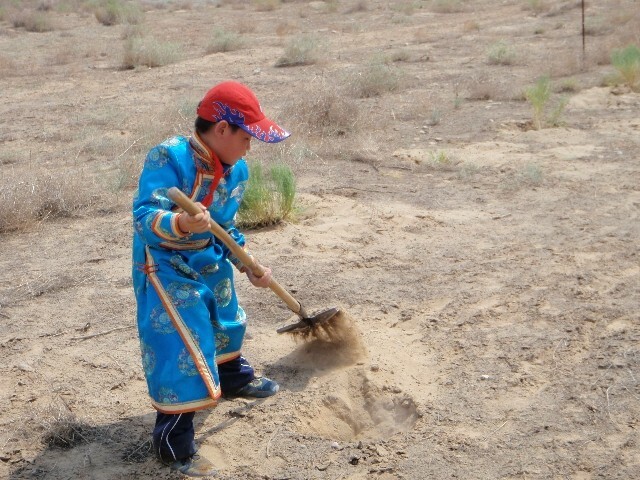 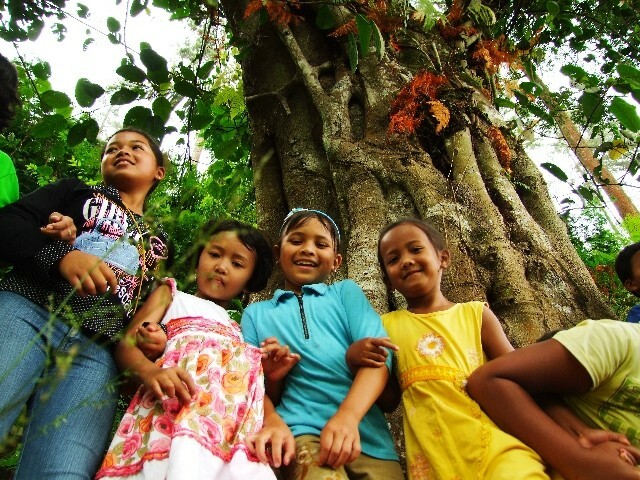 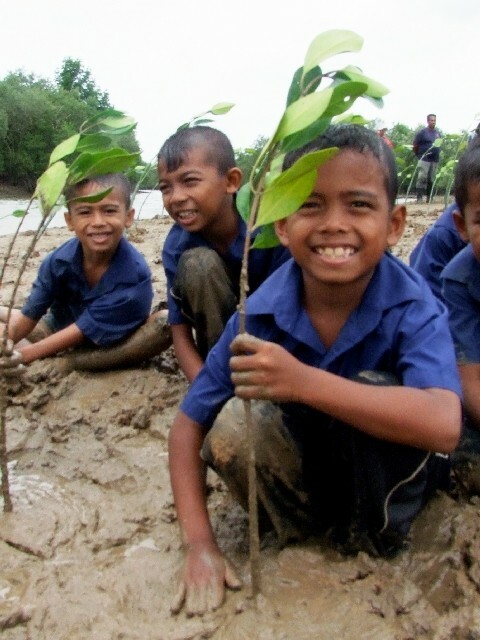 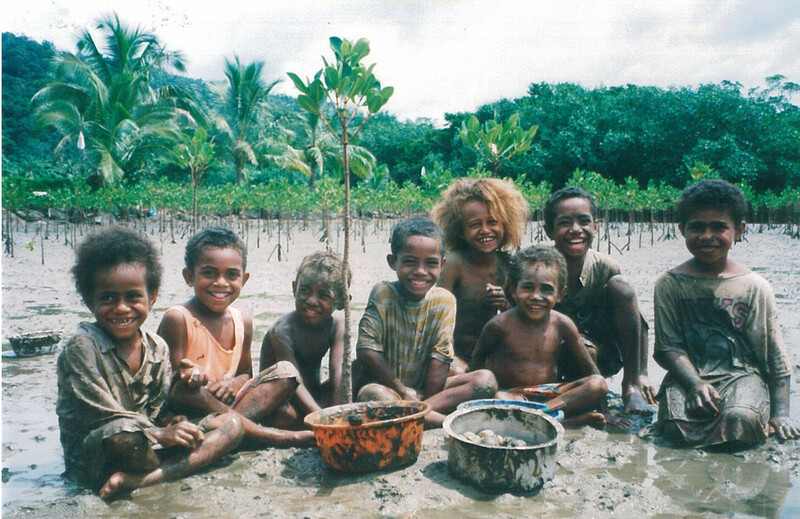 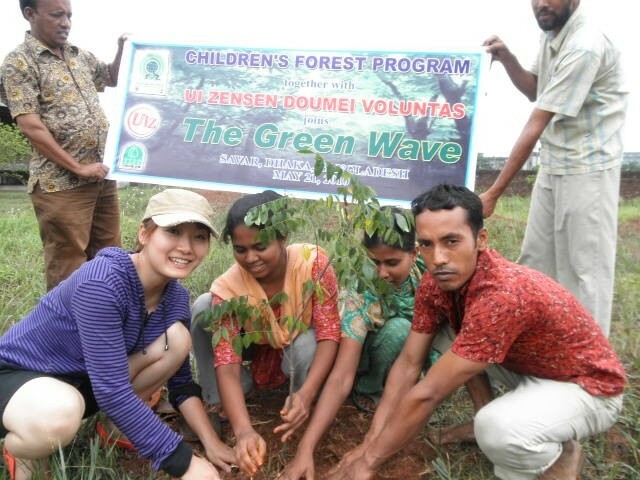 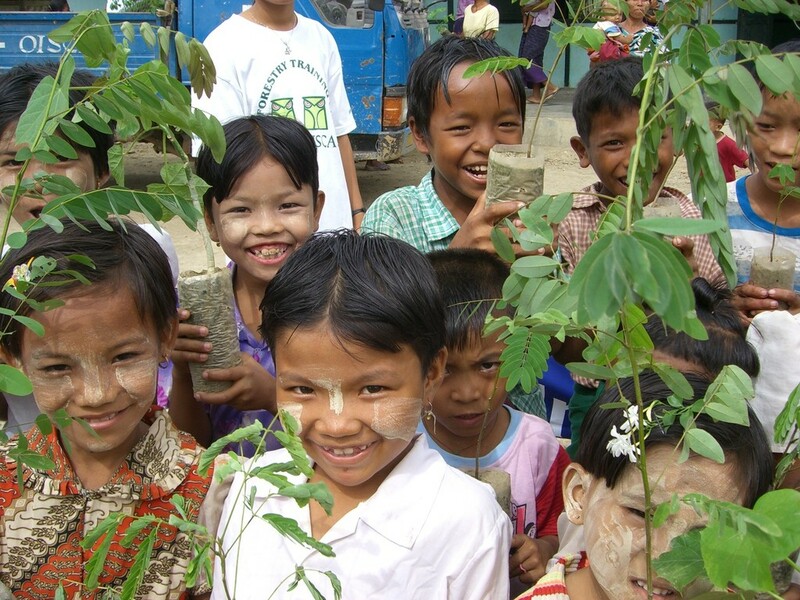 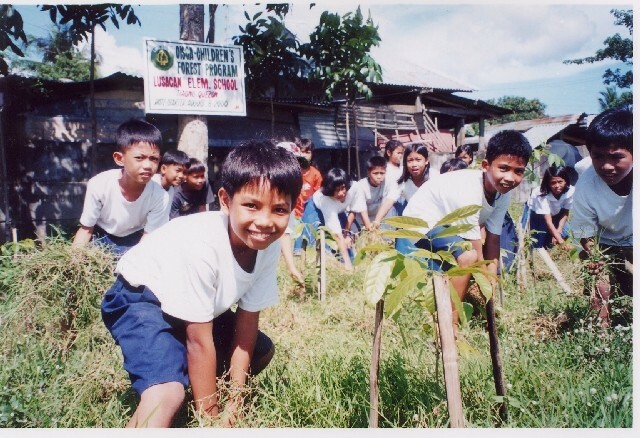 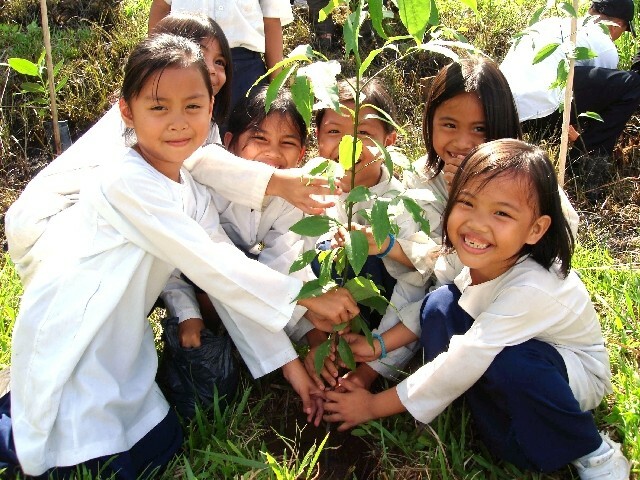 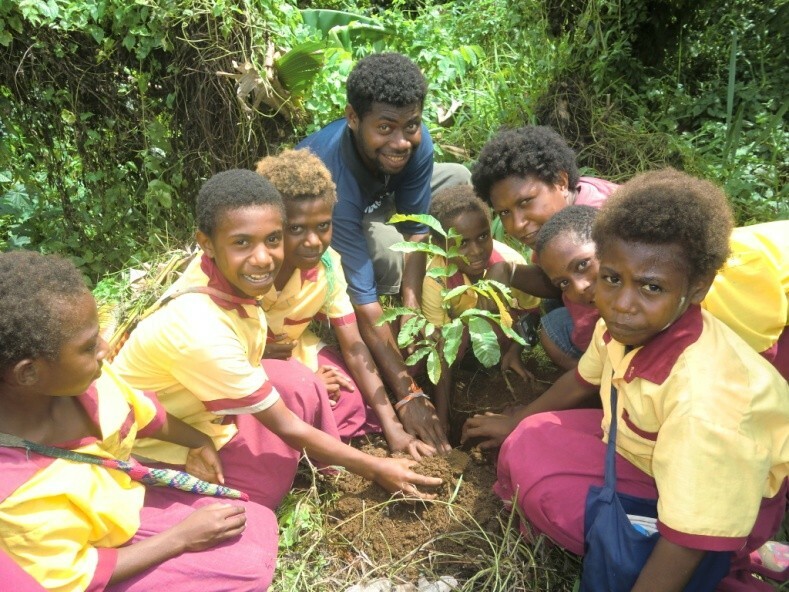 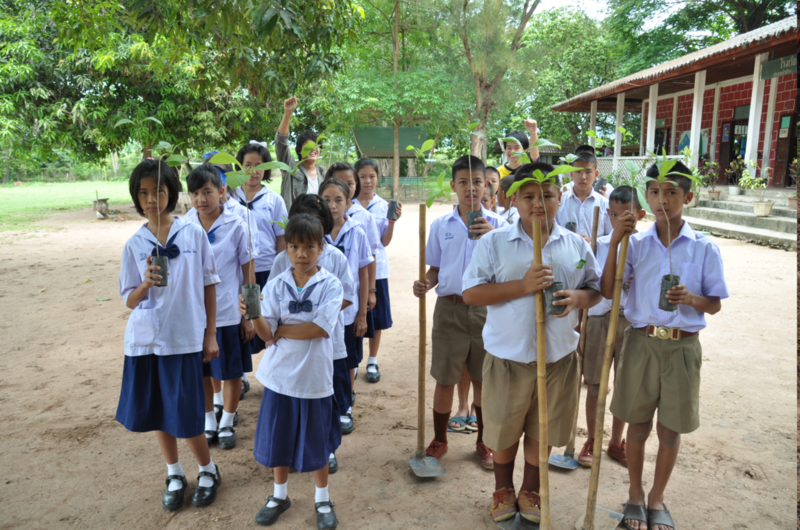 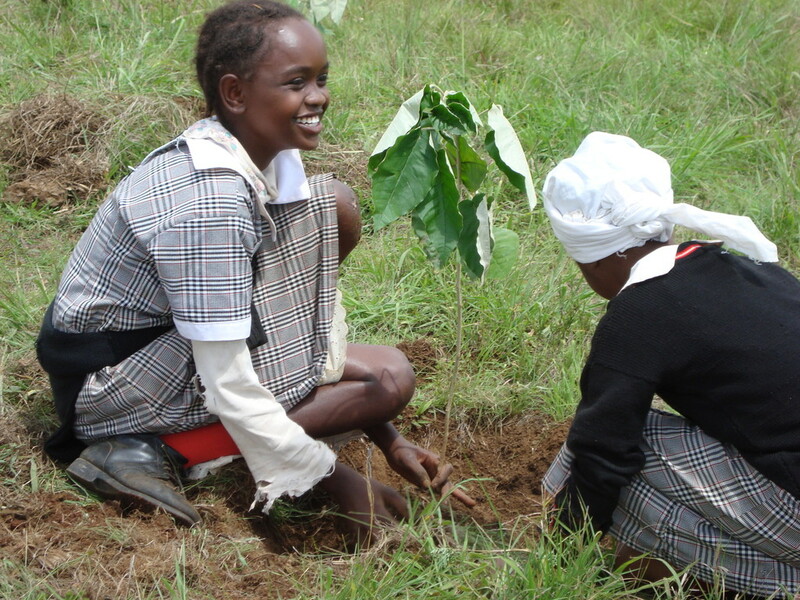 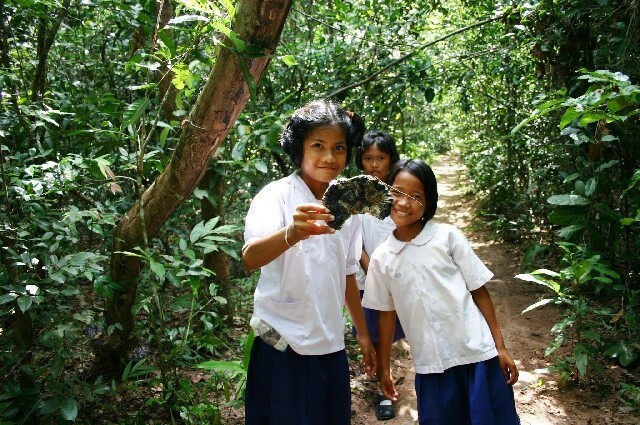 So in 2011, the teachers and students planted medicinal tree species and fruit trees. 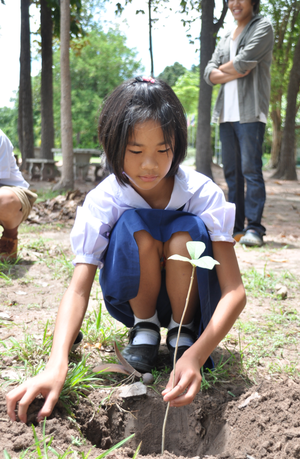 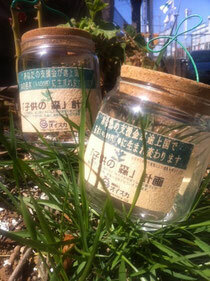 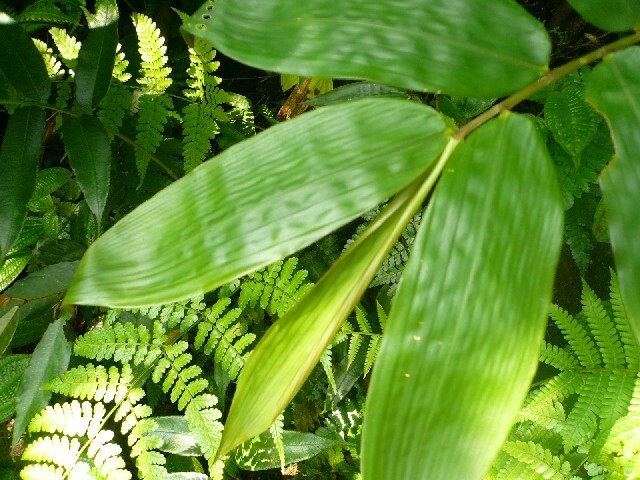 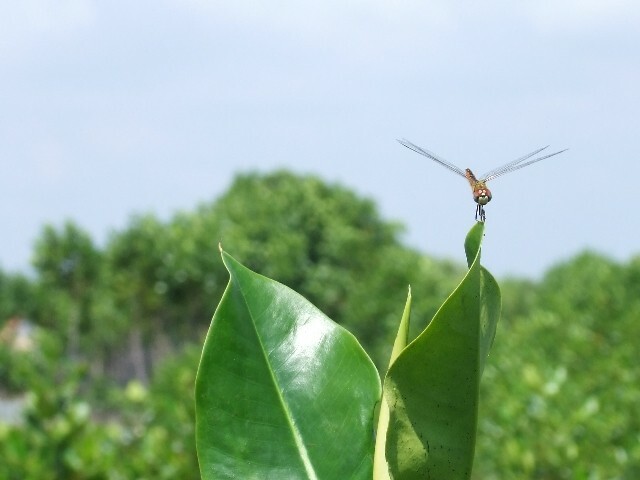 Everyone is hoping that the various tree species will develop into a more diverse natural forest in the future. 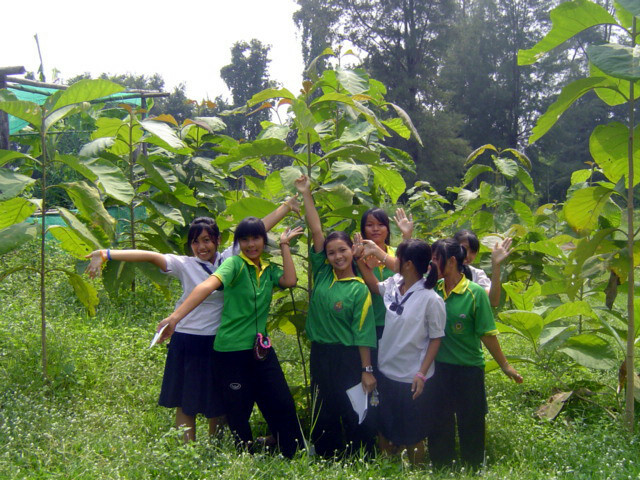 The teachers are also utilizing the school forest as an outdoor classroom by teaching the students about environmental protection and allowing the children to interact with nature and play freely. 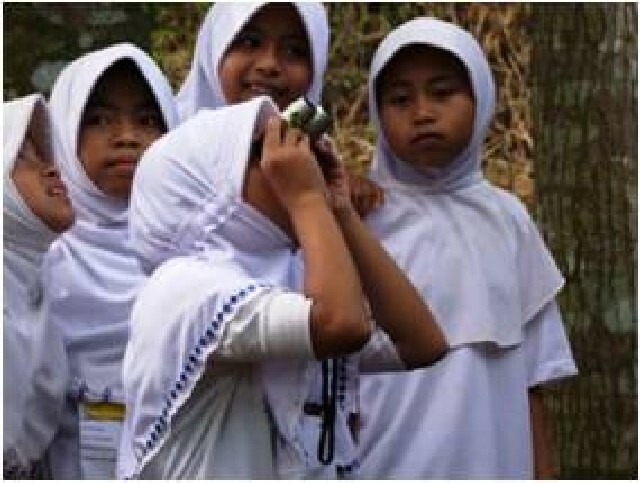 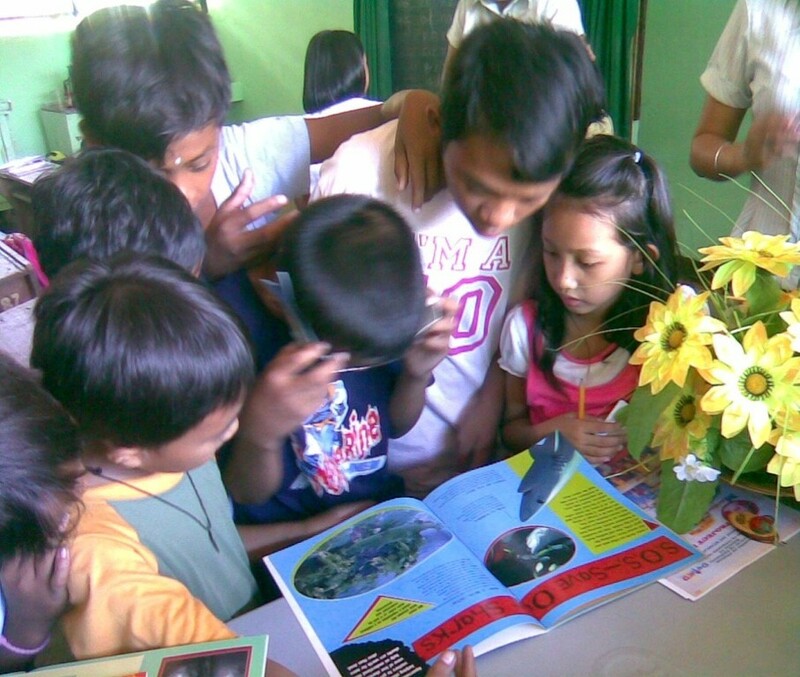 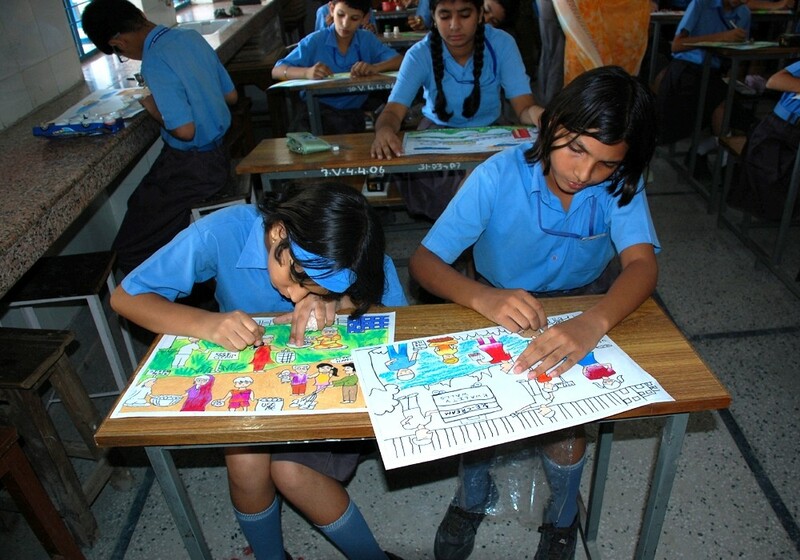 Through this kind of classroom experience, children create unique memories which will lead them to feel closer to nature. 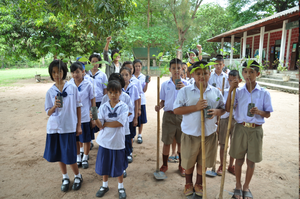 Banpogroo school is eager to continue teaching the students how to protect their beloved forest and its involvement with more CFP activities.